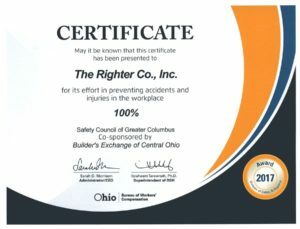 At the 2017-2018 Awards Banquet held on Wednesday, May 2, 2018, The Righter Company received a certificate “for its effort in preventing accidents and injuries in the workplace – 100%.” The Righter Company is proud of this achievement and realizes that it takes an effort by ALL employees to receive such an award. Great work! 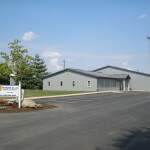 The Righter Company is pleased to again be working with Franklin County and the Sanitary Engineering Department. Previous projects with the Franklin County Department of Sanitary Engineering include the Timberlake Water Treatment Plant and the Cherrydale Pump Station. Nick Miller will be the Project Manager and Tom Ison will be the Jobsite Supervisor on this project. Where Will You Be at 12:15 pm EDT on 3/20/18? The word equinox comes from Latin words which literally mean “equal night”—aequus (equal) and nox (night). On the equinox, the length of day and night is nearly equal in all parts of the world. With the equinox, enjoy the increasing sunlight hours, with earlier dawns and later sunsets. On the March Equinox, the Sun crosses the celestial equator from south to north. It’s called the “celestial equator” because it’s an imaginary line in the sky above the Earth’s equator. If you were standing on the equator, the Sun would pass directly overhead on its way north. Equinoxes are the two times a year that the Sun rises due east and sets due west for all of us on Earth! While the Sun passes overhead, the tilt of the Earth is zero relative to the Sun, which means that Earth’s axis neither points toward nor away from the Sun. (Note, however, that the Earth never orbits upright, but is always tilted on its axis by about 23.5 degrees.) 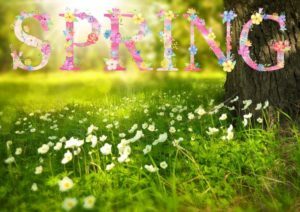 After the Spring equinox, the Northern Hemisphere tilts toward the Sun, which is why we start to get longer, sunnier days! Wherever you are when Spring arrives, HAPPY SPRING!!!! Truss rehabilitation has been completed. Timber decking installation is ongoing. High water had us worried for awhile! 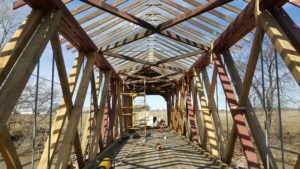 The crew has completed installation of the floor beams and timber deck. 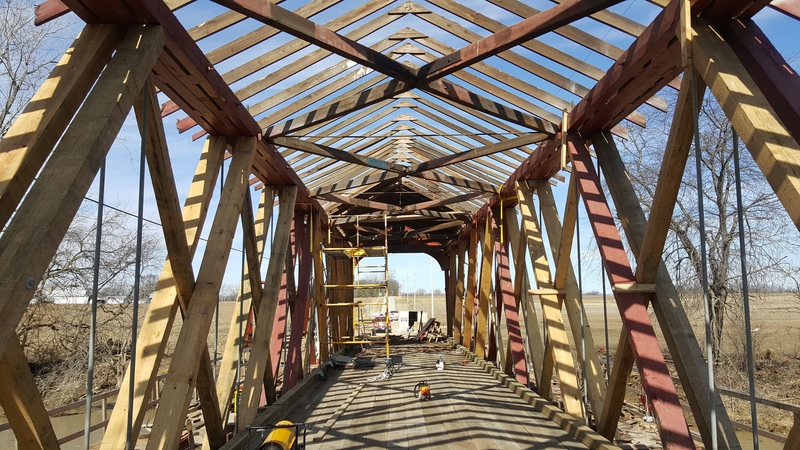 The old cedar shake roof has been removed, and work has begun to prepare for the new roof system. We are excited to be part of bringing extended life to this historic structure! 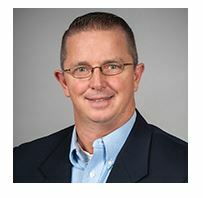 Mike Killilea, Project Manager with The Righter Company, Inc., since March 2002, is participating in the BX Executive Leadership Experience (BXLX), a nine-month program in which industry professionals are educated and coached by nationally-recognized experts in construction leadership and business development. This is the seventh year for the program, with a class of 24 executives from BX member firms. Mike is the second member of the Righter office staff to participate in this program. Tracy Ferguson, Controller, is a 2017 graduate. We are excited about the value this program brings to the team! Check out the aerial videos captured by Delaware County’s drone of Righter’s crew working on the Klondike Road Culvert project. 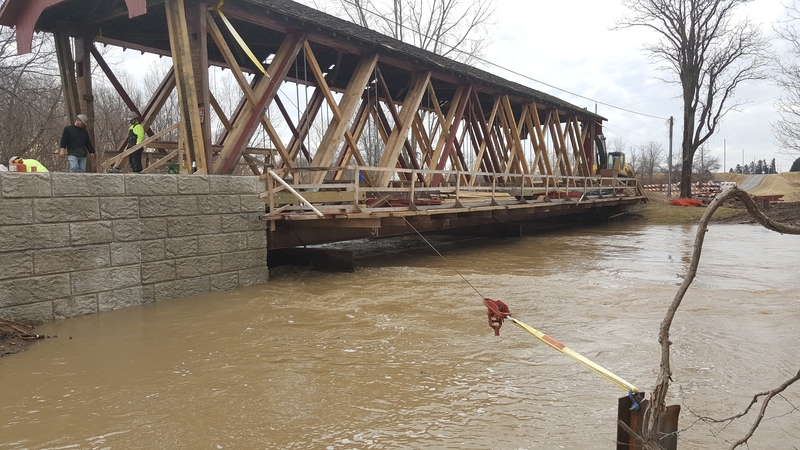 The project involved replacing the existing deficient corrugated metal pipe culvert with a three sided arch culvert and approximately 50′ of roadway work. 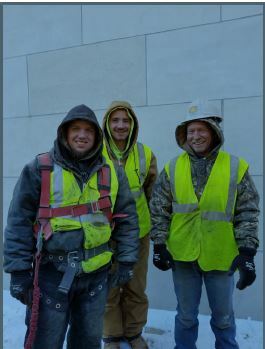 Jerry McVey was the Field Supervisor, Mike Killilea was the Project Manager, and Bill Wyner was the Project Estimator. The project was completed November 2017. Congrats to Bill, Mike, Jerry and the Crew for a job well done and a project that you can be proud of! 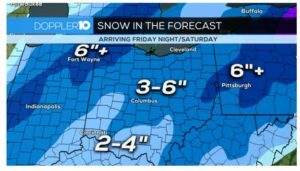 Buckeye Chuck and Punxsutawney Phil Are In Agreement! It May Be Warming Up But Winter Is Far From Over! Stay warm! Stay safe! Keep smiling! Bessie Righter, age 95, widow of Righter co-founder Donald Righter and mother to Righter’s other co-founder David Righter, also deceased, passed away following a stroke on Thursday, January 18, 2018. We recognize Bessie for her contributions and sacrifices both as a wife and as a mother, which couldn’t have been easy in the early days of The Righter Company. 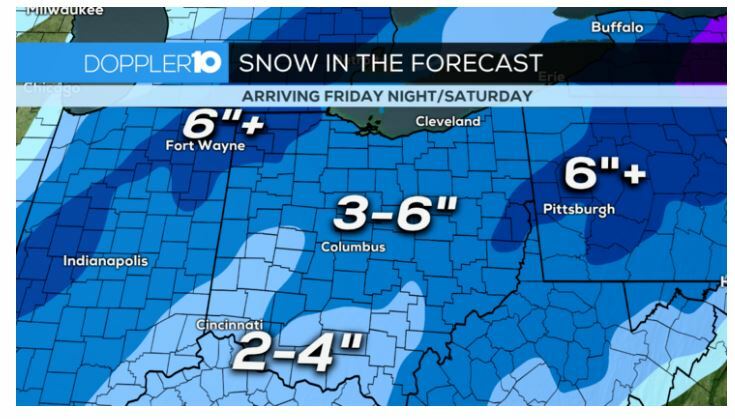 …Spring is only 67 days away!!! !